We’re in the midst of National Robotics Week, and roboticists all over the US are celebrating robotics research, development and education through hundreds of events and demonstrations at local libraries, universities, Block Parties and FIRST competitions. The point of National Robotics week is to celebrate, educate and inspire a new generation to pursue careers in robotics. But another key goal of the week is to advocate. Advocating for cash is one part of the job, because R&D requires lots of it. And if you’re going to acquire cash from granting bodies or investors, you have to convince them that the work you are doing is important, that it’s going to solve a problem, and (if you’re a start-up) that it has commercial potential. And as robotic technologies move from research into commercial viability, advocating for robotics-friendly legislation becomes just as important: if laws and regulations prevent your product from reaching the market, it doesn’t matter how much cash you have. Nymann Teknik arm, from Universal Robots. So what does advocacy have to do with jobs? Plenty. The jobs issue is a visceral one. It hits us where it counts: how we earn, how we feed ourselves and our families, how we put a roof over our heads. It’s why employment is always a key issue in election politics – it’s a topic that impacts almost every voter of working age. ‘Robots and jobs’ has become a contentious issue that, like it or not, will determine the success or failure of many new robotics technologies, so it’s no great surprise that there are plenty of people who have something to say about it. Robot replace human workers, and that is a bad thing; they are a ‘disruptive force’ that will cause irrevocable harm to our entire socioeconomic system. See 60 Minutes’ Are robots hurting job growth? and CNN World’s The jobless economy, and the Economists’ Robots don’t complain or die. Robots replace human workers, and that is a good thing; they will take over dull, dirty and dangerous jobs and leave us humans with more time to do interesting/productive work. See Andrew McAfee’s TED Talk, and Wired’s Better than human: Why robots will – and must – take our jobs. Robots don’t steal jobs, they create them; whether through ‘re-shoring’ or through the emergence of new robotics industries, there is tremendous job growth potential for economies that support robotic technologies. See Time’s Can robots bring back manufacturing jobs to the US? and Kuka’s infographic Robots and automation bring jobs back to the US. Frank Tobe gives us a critical walk-through of IFR’s latest Metra Martech report. Armed with data from the recently released Economic Impact of Unmanned Aircraft Systems Integration in the US, Chris Mailey from AUVSI suggests that a multibillion dollar market will quickly emerge to create over 100,000 jobs in the US by 2025 once current FAA restrictions to unmanned aerial systems are lifted, as they are schedule to do in 2015. Plus, a fact-finding post with all the latest economic reports on the robotics industry. 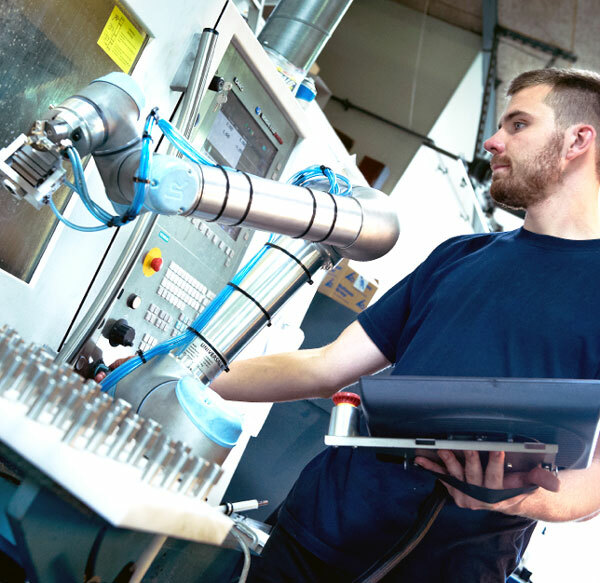 John Dulchinos, Executive Board Member of the International Federation of Robotics, takes us through some of the latest jobs stats and suggest that robotics is eliminating the advantage and influence that low-cost labour has had on manufacturing. Rich Mahoney, Director of Robotics at SRI, says that it’s too early to make any grand predictions about how robots will affect the jobs economy in the future, but that the success of robotics companies’ management teams will surely play a critical role. In response to the Robotics by Invitation question “Do robots kill jobs?“, Raffaello D’Andrea, co-founder of Kiva Systems, talks about how low interest rates are fuelling the jobs debate; and Mark Tilden argues that robots are just scapegoats, and that corporate ethics are to be blamed for poor employment numbers. Regular Robohub contributor and agribot expert John Payne echoes the many voices in the agricultural sector, which point out that agricultural robots will be replacing job vacancies, not people. Martin Ford, author of The Lights in the Tunnel: Automation, Accelerating Technology and the Economy of the Future argues that as robots and other forms of automation progress, machines will take over an ever-increasing fraction of those routine jobs and significant unemployment will become inevitable. Federico Pistono, author of “Robots Will Steal Your Job, But That’s OK: How to Survive the Economic Collapse and Be Happy” suggests that technological unemployment is already a reality today and argues that we should use this opportunity to rethink what the purpose of society should be. Matt Beane, from MIT’s Sloan School of Management asks if we are on the cusp of a robotics revolution or whether robots are distracting us from the forces profoundly affecting our economy. Matt Beane’s short answer: yes. Coverage of this week’s Silicon Valley Robot Block Party and Xconomy Forum: Robots Remake the Workplace by Robohub correspondents Frank Tobe and Andra Keay. Live streaming of Stanford’s We Robot conference on robotics and the law. Sabine Hauert‘s report on Jobs for Roboticists. And on a lighter note, Jim Haas‘ Nate the Robot – the Dilbert of robotics. Look for Nate in the sidebar! Managing the ‘issue’ of robots and jobs is important to the success of businesses, research institutions and politicians alike, whether they are ‘for’ robots or ‘against’, so there is no doubt that you will continue to see headlines about robots and jobs for the foreseeable future, both in the mainstream media and here on Robohub. We hope you enjoy this focus series … feedback is welcome, so send us your comments!